The Handbook is unique in that it is co-written by implementers themselves, showcasing reflections from leaders in CHMI's Primary Care Learning Collaborative on their experiences, and including concrete tools they have employed in their work. The Handbook reflects what these organizations have learned from their experiences thus far, and is intended to leave the reader with ideas, tools, and inspiration, that they can then immediately test, implement, or adapt to their own work. The Handbook also includes a unique feature in the form of running comments from peer organizations that accompany each chapter. 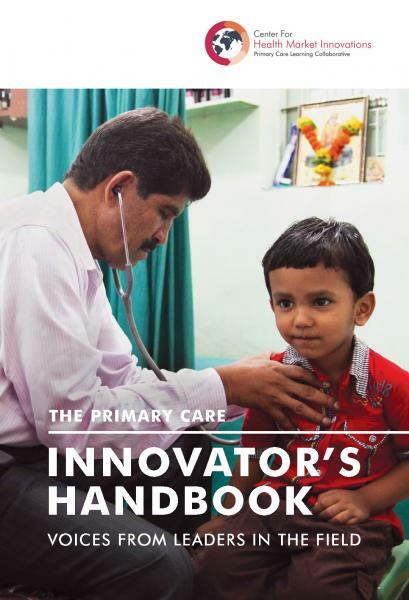 Through this running commentary, the Handbook is working to capture the conversation around primary health care delivery, rather than a one-way presentation of ideas. The primary audience of the Handbook is managers of primary care organizations, or those who are hoping to start such organizations. Nevertheless, the knowledge shared by the primary care organizations is relevant to many others working in the health field, and the open conversation begun here is one we hope to continue with all others working to improve health systems. How do you choose your clinic sites? How do you best staff your clinics? How do you continuously improve your model? The Handbook should be considered a “living handbook.” It is the start of a conversation and hopefully will grow over time with new insights and experiences. We hope that others will contribute to the development of this field by sharing their experiences as innovators in primary care. Rather than see one another as competitors, let’s see one another as what we truly are: partners in building better health systems globally.